This course provides delegates with an invaluable opportunity to understand Sukuk across a range of inter-related financial disciplines. 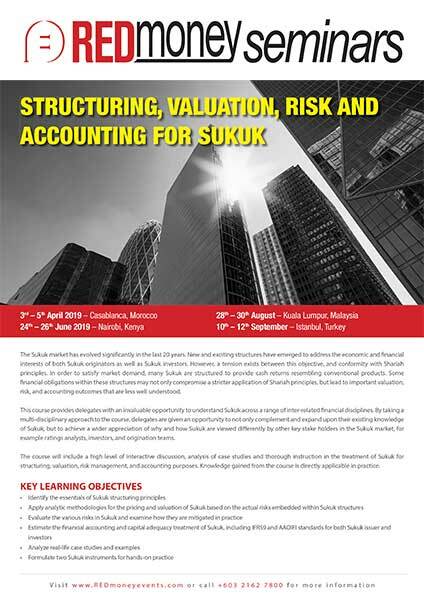 By taking a multi-disciplinary approach to the course, delegates are given an opportunity to not only complement and expand upon their existing knowledge of Sukuk, but to achieve a wider appreciation of why and how, Sukuk are viewed differently by other key stake holders in the Sukuk market, for example ratings analysts, investors, and origination teams. The course will include a high level of interactive discussion, analysis of case studies and thorough instruction in the treatment of Sukuk for structuring, valuation, risk management, and accounting purposes. Knowledge gained from the course is directly applicable in practice. Delegates will be given an opportunity to implement new skills learned on the course by working in groups to structure two Sukuk instruments which meet very different requirements for a company operating in the aviation industry, and an Islamic bank with retail and corporate banking business. What are the accounting standards applicable to Sukuk? 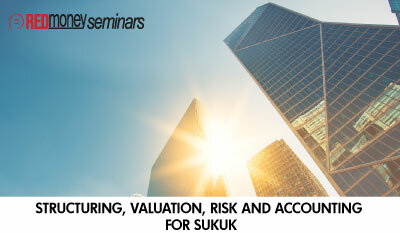 What are the main issues in accounting for Sukuk? Ken is a British Muslim.